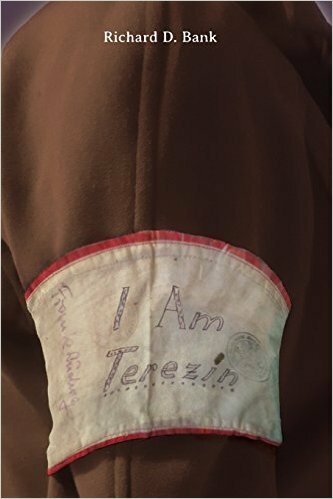 I Am Terezin by Richard D. Bank is a memoir (of sorts) told from the point of view of the Czech fortress city-turned-concentration camp Terezin, or Theresienstadt as the Germans called it. If that sounds confusing to you, essentially the book is creative non-fiction written in the first person “by Terezin” through author Richard D. Bank. Rather than being a non-fiction work filled with dates and names, the Terezin POV aspect offers a personal and emotional side to the story (although it is hard not to be emotional given the grim and disturbing subject-matter) in that Terezin often refers to her (her? I’m just going to say her) residents as her people or her children. In this way, the reader begins to see Terezin as a fully realized person with thought and feelings and family; powerless against the brutality and horror she witnesses during WWII. Theresienstadt was a place where the Nazis dangled the illusion of self-sufficiency in front of the Jews, so much so that the residents had developed their own currency, council of elders (not named by the Jews, mind you, but by the Nazis in reference to the anti-Semitic Protocols of the Elders of Zion), and put on concerts and plays. But these thing were means to an end–mere points the Nazis could show to the inquiring media and Red Cross to illustrate how happy and self-sufficient the Jews were in their very own city “gifted” to them by the führer. One of the most shocking stories of Terezin was the preparation and “beautification” project before the Red Cross inspection and propaganda film was made. With an emaciated and ill overcrowded city, the Nazis shipped out thousands to their death so the population would recede back to what the city could actually hold (around 7,000.) The project also included planting gardens, repainting and repairing dilapidated buildings, shutting away all the ill residents, and even installing sandboxes for the children. To the rest of the world, Terezin would have appeared “normal,” and so no one did a thing to change it, or did they know and turn a blind eye? This particular story reminds me of the way in which North Korea now presents themselves to foreigners. “Tourists” are often escorted around specific sites only, where patriotic displays “spontaneously happen,” with people spouting nationalistic rhetoric as if suddenly possessed by the passion of the moment. I Am Terezin is both informative and timely, as one cannot help but think of current events and the threat of history repeating itself. The lengths to which the Third Reich went to dupe a large portion of the world rings hauntingly true with some of our present world leaders.